The report of the International Spiritual Life Commission has now been received around the Army world. It has been published in a variety of formats in order to make it as accessible as possible to Salvationists and those who desire to understand us better. We are encouraged to learn that it is being discussed widely and vigorously and that its compelling call to be God's people is being heard sensitively. In order to facilitate understanding of its vital themes and the theological and practical reflection that underlies in emphases, the Chairman of the Commission, Lieut-Colonel Robert Street, has prepared this insightful and well-written commentary on the report. The chapters will not only afford a clearer understanding of the implications of the Calls but also stimulate further discussion and action. Nothing is more critical for our future effectiveness in mission as we move into the new millennium than our inner strength as a Movement. Nothing is of higher priority than the nurturing of our inner life, growing in grace and understanding, in holiness of heart and life, and in our experience of the risen life of Christ, present among us, experienced by us, and expressed through us in the quality of our lives and service. I warmly commend this helpful volume and urge its widest possible use as corps fellowships begin to explore together the full promise of our freedom in Christ in response to the call to be God's people, moving forward in freedom to embrace God's future. In his foreword to this new handbook the international leader of The Salvation Army, General Shaw Clifton, says of Salvationists; 'Our faith, grounded in Scripture, and validated victoriously by personal experience, has been the motive force of our obedience [to God]'. The Salvation Army Handbook of Doctrine provides the foundational spiritual basis for the good works of The Salvation Army. It thoroughly explores the 11 biblically based Salvation Army articles of Christian faith (doctrines), discussing the Bible, God, the creation and care of the world, Jesus Christ, humanity's relationship with God and the eternal life to come. The 2010 edition is the latest in a long line of books devoted to The Salvation Army's articles of faith. The first Doctrine Book was prepared by General William Booth in 1881. This latest handbook contains a study guide to the doctrines and study notes covering the Army's essential characteristics, its position concerning Christian sacraments, spiritual God-given gifts and how The Salvation Army relates to the wider Church. Also included in an extremely informative handbook are the classical Christian Creeds, a Salvation Army lectionary, people and events from Church history and a glossary of theological terms within the final appendices section. The Salvation Army has a God-given freedom in Christ which, if used to the full, could enrich the Army's spiritual life and total ministry in ways far beyond those already enjoyed. Jesus' mission is captured in a single vision with two dimensions. His hope for a restored humanity envisions well-being for people who are spiritually poor and people who are socially poor. And in their midst, righteousness and justice mark the events of his days and nights. Jesus lives right and makes life right with others. In Jesus' code, to love is to be just. To be just is to love. And when we claim to follow Jesus, we are disciples of justice. Jesus' mission on earth in his time is our mission on earth in our time. 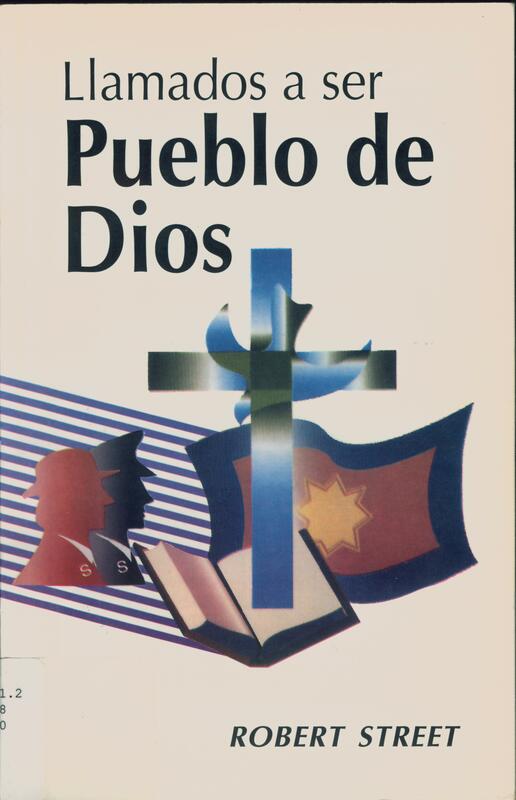 A study book for all young people who, as soldiers of The Salvation Army, serve the Kingdom without frontiers. The following series of lessons originally appeared in the "Bible School," a weekly feature of the Canadian War Cry. They were written to provide a basis of thought for Salvationists engaged in small study groups. This series is a sincere attempt to reemphasize the doctrine of The Holy Spirit in relationship to everyday Christian living. The Holy Spirit has justly been described as "the displaced person in the Godhead." The presence in some quarters of strange and distorted views about the Spirit's operation is regrettable, but much more regrettable is the widespread absence of true teaching concerning the Divine Third Person of the Trinity. Samuel Chadwick once wrote: "To run an organization needs no God. Man can supply the energy, the enterprise, the enthusiasm for things human. But the real work of the Church depends upon the power of the Spirit." My prayer is that this series of lessons will aid us in rediscovering the presence and power of The Holy Spirit, for whatever work is initiated by the Spirit has the glorious tendency and capacity to spread. May it spread far and wide. This booklet has its origins in The Salvation Army's training college in London in the early years of the century. Cadets were given lectures on Salvation Army history, and the lecture notes (no doubt improved upon from year to year) formed part of the library which they took with them into their life's work. In 1927, the suggestion was made that a wider public might be interested in a concise account of the Army's beginnings and subsequent expansion and An Outline of Salvation Army History was published in that year. That original text remains the basis of the present volume, although thoroughly revised for this edition. The hallmark of The Salvation Army is integrated mission. Salvationists are called to minister to the whole person. General Frederick Coutts once observed that 'William Booth understood the biblical word salvation as bringing health – physical, mental, social and spiritual – to every person'. And it is to that comprehensive understanding of salvation that Salvation Army mission is dedicated. Hence our emphasis on integrated mission. There is no doubt that when everything we do as an Army is added together, The Salvation Army is the very embodiment of integrated mission. But it is when we view each Salvation Army corps or centre or programme on its own that we need to pause and think. Ideally every unit, every programme, however specialised, should reflect to some degree the breadth of vision that integrated mission represents – salvation as physical, mental, social and spiritual health for every person. But in our concentration on the task at hand we sometimes forget the larger picture. There is therefore never a time when we do not need to be recalled to our roots as an Army, never a time when we do not need to seek a new vision of the possibilities that are open to us today. That is what this booklet Mission in Community is about. Baptism, Eucharist and Ministry -- otherwise known as the Lima Text -- faces the problem of a Church made up of denominations with differing interpretations of the Apostolic Faith developed by those who first received the gospel from our Lord and passed on with sundry permutations through succeeding generations. This discussion paper aims at creating a deeper consideration of our common faith and seeks to discover how best the Church can express its unity in faith and action. The Salvation Army's official response sought to emphasise the Army's unity in Christ and Christian faith with all who accept him as Saviour and Lord while humbly but confidently presenting its theological position as a valid alternative to that emphasised in the Lima Text. One Faith, One Church, a transcription of the original response, quotes the salient passages in the Text on which the Army's comments are based, with additional comments where necessary to clarify further the Army's reaction. This thrilling story of real people, placed in an authentic historical setting, has been written for your inspiration and enjoyment. Because complete information was not available, the author has skillfully woven into the story some material which cannot be documented. Therefore, if you wish to use any of the statements or stories for historical purposes, please check first with the Salvation Army Archives and Research Center to confirm their authenticity. Sallie Chesham (Mrs. Colonel Howard Chesham), daughter of Canadian Salvation Army officers S/C and Mrs. Robert Keeler, has written features, stories, poems, brochures, books, dramas, songs, and musicals throughout her career as a Salvation Army officer. A book of her poetry, Walking with the Wind, won the Chicago Poetry Award; and her book Trouble Doesn't Happen Next Tuesday, the story of her experience with a Chicago street gang, won the Chicago Publisher's Award, both presented by The Society of Midland Authors. Mrs. Chesham is an honorary member of the London, England, Women's Press Club and is listed in World's Who's Who of Authors and World's Who's Who of Women. First published 1930, Fleming, H. Revell Company, New York. "Two thousand years after Christianity was born, it is sad to see that Christians still have difficulty in accepting some of its major principles. Take for example the place of women in the church. The arguments are still raging for and against the equality of women with men in all matters to do with ministry. One could be forgiven for thinking that the issue was satisfactorily settled for all time when St. Paul said, 'You have put on Christ as a garment. There is no such thing as Jew and Greek, slave and freeman, male and female. You are all one person in Christ Jesus' (Galatians 3:28, NEB). "In The Salvation Army we have a stated policy about the equality of men and women in ministry. At times we have even been guilty of thinking that we are better than others in handling this matter. Sadly, I have to say that we have nothing to crow about! We could be forgiven for thinking that Mrs. Booth's booklet 'Female Ministry' had closed the discussion for us once and for all and that the slim volume could safely gather dust on the shelves of our heritage centres. In fact, it still needs to be compulsory reading in many corners of our Army world and, indeed, in the church at large. Many men in ministry would do well to read it and remember their duty. Many women in ministry would do well to read it, and remember their heritage; prize it and accept its responsibilities." Scripture taken from the Holy Bible, New International Version. Copyright 1973, 1978, 1984 by International Bible Society. All rights reserved. Never in the history of the world has there been an organization like The Salvation Army. When Founders William and Catherine Booth combined the existing ecclesiastical structure of the Christian Mission with the framework of the military, it was more than a gimmick. Something new was created. If that were not enough, in 1890 the Army waged a full frontal attack on society's ills and incorporated a social service ministry. To this day there is nothing else quite like it. Turning Points outlines key moments in the history of The Salvation Army that continue to influence how Salvationists serve God and every generation faithfully. Major Allan Satterlee was commissioned as a Salvation Army officer in 1975 and served in several positions in the Army's USA Southern territory before his most recent appointments in Singapore and Papua New Guinea, where he now serves with his wife Esther. He is the author of Sweeping Through the Land, a history of the Army in the USA South, and compiler of Notable Quotables, a collection of quotations from Salvation Army literature. He is a frequent contributor to Salvation Army publications.